TEHRAN, Sep. 22 (MNA) – Foreign Minister Zarif said Iran holds regional terror sponsors and their US masters accountable for the Sat. terrorist attack on a military parade in Ahvaz. Zarif noted that children and journalists are among casualties. According to reports, the death toll has risen to 11, and over 30 people, including women and children, have been injured. The ‘Al-Ahwaz’ separatist group has claimed responsibility for the terrorist attack. 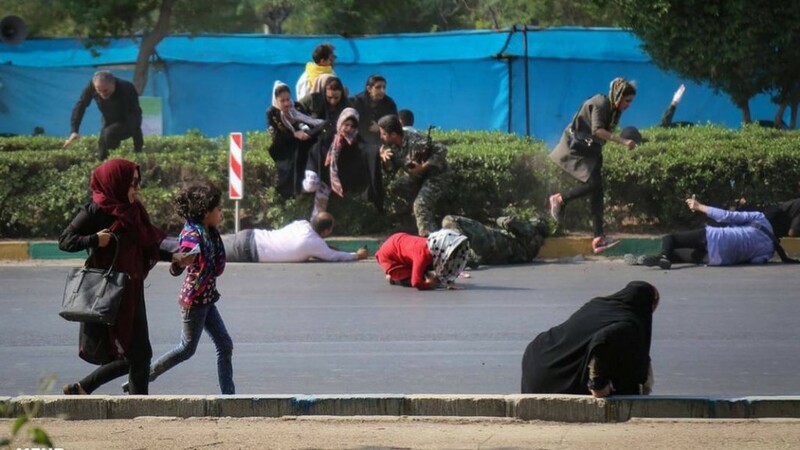 TEHRAN, Sep. 22 (MNA) – According to the latest reports, death toll has risen to 29, with over 50 injured, in a terrorist attack carried out by armed assailants at a military parade in southwest city of Ahvaz. The death toll is feared to rise due to the severity of the injuries. The attack has reportedly been carried out from outside of the parade perimeters, from a park overlooking the observation platform. Officials present at the stand, including the governor general of Khuzestan and governor of Ahvaz, are reported to be unharmed. Early reports indicate that at least eight armed forces personnel, as well as the bodyguard of Khuzestan’s IRGC commander, have been martyred in the attack. A journalist has also been said to be among the casualties. 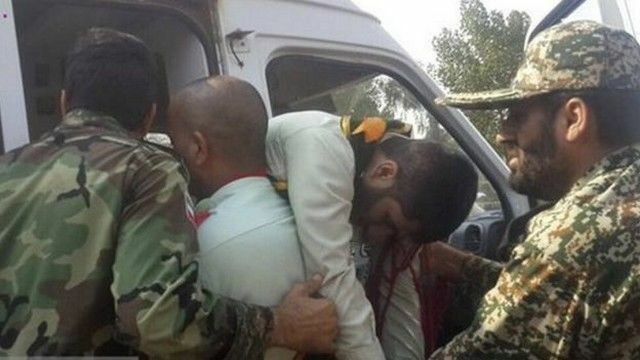 According to the senior spokesman for the Iranian Armed Forces, Brigadier General Abolfazl Shekarchi, the attack was carried out by four terrorists, three of whom killed and the other arrested by security forces and the police. IRGC spokesman told ISNA correspondent that the armed assailants who opened fire at people and armed forces personnel present at the parade were affiliated with the ‘Al-Ahwaz’ separatist group. He added that the group is ideologically fed by Saudi Arabia, noting that the attack aimed at undermining the massive scale of the armed forces parade. He said that civilians had also been invited to watch the parade, and the gunmen had opened fire both at them and the military personnel. While the ‘Al-Ahwaz’ separatist group had earlier claimed responsibility for the attack, ISIL terrorist group later claimed responsibility in a message published on their news outlet. Iran is conducting nationwide military parades to mark the beginning of the Sacred Defense Week. The death toll from a terrorist attack on a military parade in Iran’s southern city of Ahvaz has risen to 25, local officials say. Deputy Governor of Khuzestan Province Ali Hossein Hosseinzadeh also said 60 people had been injured in the Saturday terrorist attack. Gunmen opened fire on people from behind a viewing stand at Qods Boulevard of Ahvaz during the morning parade held to mark the former Iraqi dictator Saddam Hussein’s invasion of Iran in the 1980s. “Individuals disguised in the Islamic Revolution Guards Corps and Basij uniforms fired at officials and people from behind the stand, leaving a number of innocent people including women and children martyred or injured,” Governor of Khuzestan Province Gholamreza Shariati said. “Despite the intensity of the attack on the stand of the officials, none of them was hurt thanks to the rapid reaction of the security forces, Shariati said. “According to preliminary reports, four attackers were involved, two of whom were killed and two arrested, one of them injured,” Shariati said. 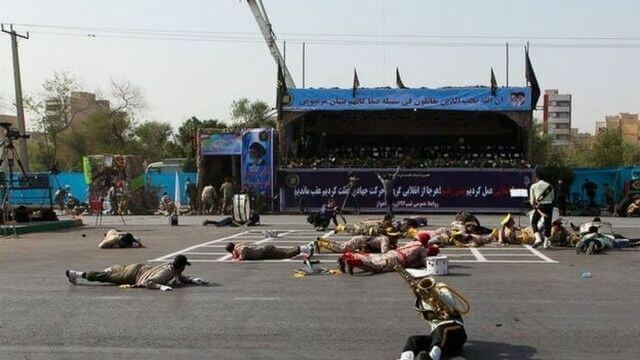 “The individuals who fired at the people and the armed forces during the parade are connected to the al-Ahvaziya group which is fed by Saudi Arabia,” he said. Sharif said the shooting is not unprecedented and the group which is also supported by the UK has attacked convoys of those visiting the former frontlines in Saddam’s war on Iran in recent years. The Russian leader made the comments in a message sent to his Iranian counterpart on Saturday, a few hours after four gunmen, disguised in the Islamic Revolution Guards Corps (IRGC) and Basij uniforms, opened fire on people from behind a viewing stand at Quds Boulevard in the city of Ahvaz during the parade held to mark the former Iraqi dictator Saddam Hussein’s invasion of Iran in the 1980s. 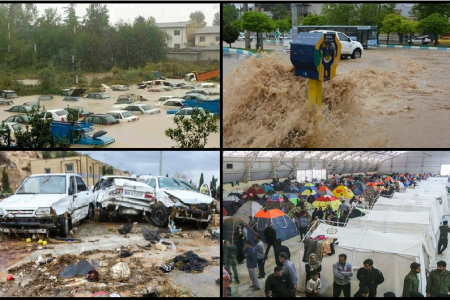 Deputy Governor of Khuzestan Province Ali Hossein Hosseinzadeh told Iran’s Mehr News Agency that the death toll had rose to 25 from an initial figure of 10. He added that at least 60 other people had sustained injury. A four-year-old boy was also among those who had received fatal wounds. 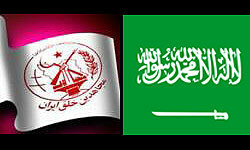 The Saudi-backed al-Ahvaziya terrorist group claimed responsibility for the attack. However, the British Broadcasting Corporation (BBC) only used the word “attack” for the act of terror. Similarly, Reuters and others described the incident as an “attack” instead of a terrorist one, whereas they have been quick to use “terrorist attack” for similar incidents that have taken place in Europe over the past few years. Meanwhile, the Takfiri Daesh terrorist group claimed responsibility for the attack but provided no evidence for the claim. 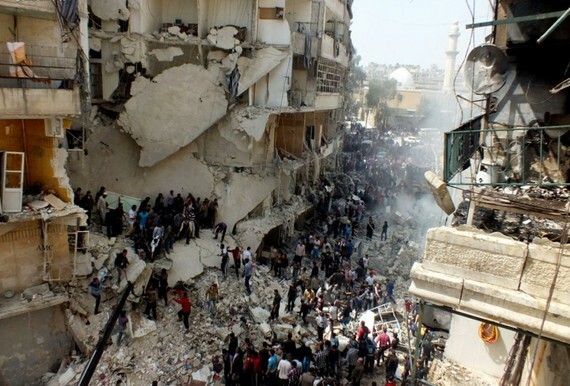 In the wake of the bloodshed in the Iranian city, the Syrian Foreign Ministry issued a statement, vehemently condemning the act of terror and stressing that terrorists and those supporting them in the region would not be able to achieve their goals through such crimes. An unnamed official source from the ministry further told Syria’s official SANA news agency that Damascus had expressed its “full sympathy” to and “solidarity” with Iran, reaffirming that those behind “such sordid crimes” were doomed to fail. The official also offered the Syrian government’s “warmest condolences” to the Iranian leadership, government and people as well as families of the victims, wishing quick recovery to the wounded. 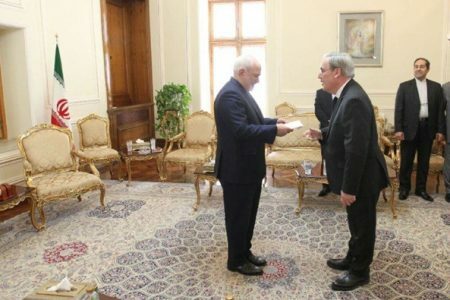 Foreign Minister Mohammad Javad Zarif says Iran will respond “swiftly and decisively” in defense of its people, shortly after a terror attack claimed at least 25 lives in southern Iran. “Terrorists recruited, trained, armed, and paid by a foreign regime have attacked Ahvaz. Children and journos [are] among casualties,” Zarif tweeted on Saturday. 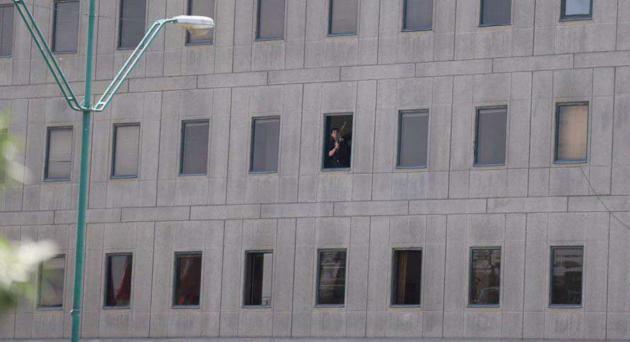 Iran holds “regional terror sponsors” and their “US masters” responsible for the attack, he said. 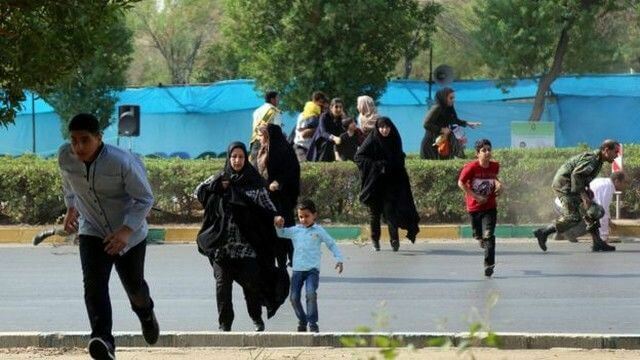 At least 25 people were killed and 60 others injured when gunmen opened fire on people from behind a viewing stand at Qods Boulevard of Ahvaz during the morning parade held to mark the former Iraqi dictator Saddam Hussein’s invasion of Iran in the 1980s. Meanwhile, Rear Admiral Ali Fadavi, the IRGC’s former top naval commander and the Corps’ current deputy coordinator, also reacted to the attack. “We took down the grand design and the intrigue that was called Daesh,” he added, saying the enemy has a hard time accepting this. Fadavi was referring to Iran’s support for Syria and Iraq in their battle against the terrorists, who were defeated by the Arab countries late last year. The Western and Saudi media have refrained from terming the deadly attack in the Iranian city of Ahvaz a terrorist act despite the large number of civilian casualties in the incident. At least 25 people were killed and 60 others injured in Ahvaz on Saturday, when terrorists opened fire on people from behind a viewing stand at a military parade held to mark the former Iraqi dictator Saddam Hussein’s invasion of Iran in the 1980s. The Saudi-backed al-Ahvaziya terror group claimed responsibility for the assault. However, the British Broadcasting Corporation (BBC) only used the word “attack” for the terrorist act. Similarly, Reuters and others described the incident as an “attack” instead of a terror one whereas they have been quick to use “terrorist attack” for similar incidents that took place in Europe over the past few years. Russian President Vladimir Putin offered condolences to his Iranian counterpart, Hassan Rouhani, after the brutal attack. He also expressed Moscow’s readiness to boost joint efforts with Tehran in the fight against terrorism. “This incident once again reminds us about the need to conduct an uncompromising war on terror in all its manifestations. I would like to confirm our readiness to further enhance cooperation with Iranian partners in countering this evil,” the Kremlin quoted Putin as saying. Iraqi Interior Minister Qasim al-Araji condemned the incident, saying it once again demonstrated the hostility of terrorists and arrogant elements towards the Muslim nation of Iran. 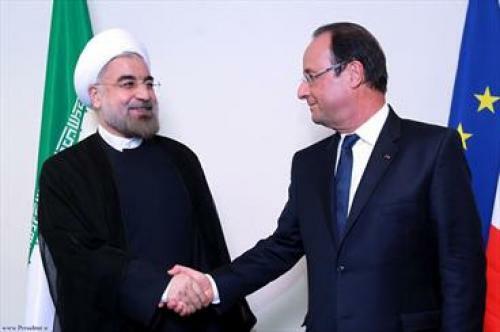 He further stressed that such actions could not undermine the authority of the Iranian nation. Republican Congressman Dana Rohrabacher, 69, who is a member of the US House of Representatives representing California’s 48th congressional district, made the provocative remarks on Thursday, during a House Foreign Affairs Committee hearing on Lebanon’s Hezbollah resistance movement. Rohrabacher, while apparently hailing the deadly attacks as a positive development, said he believed that the terror attacks were conducted by “Sunni forces,” which he said had to be provoked to stage attacks in Iran. “Isn’t it a good thing for us to have the United States finally backing up Sunnis who will attack Hezbollah and the Shia threat? 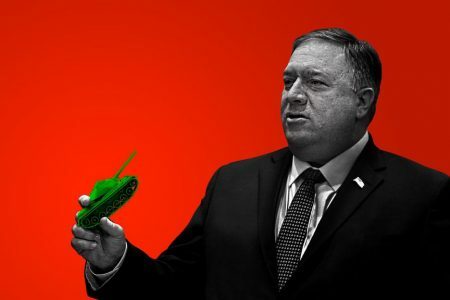 Isn’t that a good thing?” he asked, adding that the attacks could be “a signal, a ratcheting up of certain commitments by the US” against Iran. Rohrabacher’s comments came a day after several gunmen stormed Iran’s parliament and the Mausoleum of Imam Khomeini in two coordinated attacks. At least 17 people lost their lives and nearly 50 others were wounded in the assaults, which involved shootings and blasts. Daesh claimed responsibility for the near-simultaneous assaults. “If this is so, may be this is a Trump’s strategy of actually supporting one group against another, considering that you have two terrorist organizations,” he further said. Resorting to history, Rohrabacher even implied that he advocated the idea of teaming up with Daesh to battle Iran, asserting that even though Joseph Stalin was a “horrible guy,” US leaders cooperated with him in defeating Adolf Hitler and the Nazi Germany. “Maybe we should consider having” Daesh on the one hand, and Iran and Hezbollah on the other, “fighting each other,” he concluded. Washington considers Hezbollah as a terror organization despite the fact that its fighters have fended off several Daesh attacks inside Lebanon. They have also been providing assistance to Syrian army forces to counter the ongoing foreign-sponsored militancy. Rohrabacher’s remarks came on the same day as Trump made contradictory comments on the Tehran attacks, almost condemning the victims instead of the Daesh terrorists. “We underscore that states that sponsor terrorism risk falling victim to the evil they promote,” claimed Trump on Thursday. Iran has censured the United States’ role in spreading terror in the Middle East region, saying Washington should pay for its wrongdoings. 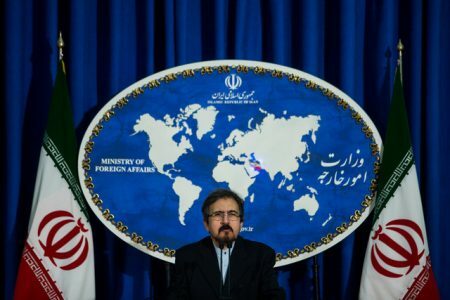 Speaking at a news briefing on Monday, Foreign Ministry Spokesman Bahram Qassemi said US officials have shown in recent decades that they have not learned from their previous experiences and have consistently contributed to the escalation of terrorism in the region through their wrongful policies and indecent behavior. Qassemi said that Washington’s policy continued under the new administration. “This is a mistake, which the US government should pay for like its other mistakes,” the official asserted. 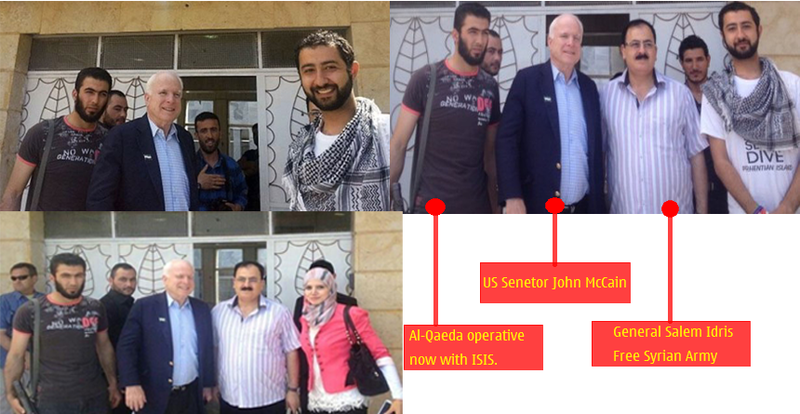 As a case in point, he cited Republican US Senator John McCain’s meeting with the head of the terrorist anti-Iran Mujahedin-e Khalq Organization (MKO), Maryam Rajavi, in the Albanian capital Tirana on Friday. The MKO has carried out numerous terrorist attacks against Iranian civilians and government officials over the past three decades. Out of the nearly 17,000 Iranians killed in terrorist assaults since the victory of the 1979 Islamic Revolution, about 12,000 have fallen victim to MKO’s acts of terror. “This contact serves the same purpose (of terror expansion). These types of contacts are nothing new,” Qassemi analyzed. TEHRAN, Aug. 22 (MNA) – Iran’s FM Spokesman Bahram Ghasemi said Mon. that Nojeh airbase in Hamedan is no longer in use by Russian fighter jets and the cooperation has come to an end for the time being. About the upcoming visit of the head of MEK, Mujahedeen-e-Khalq, an anti-Iran terrorist group exiled in France and Iraq, Maryam Rajavi, to Saudi Arabia, he called Saudi officials to take rational and wise measures since stability and security of the region would also benefit the Arab kingdom. He also clarified certain confusions about two cases regarding foreign diplomats in Iran. In regard to the two European diplomats that had faced some problems in one of the western provinces in the country, he said no offense has been made and that the diplomats have travelled there with prior notice and legal permit. 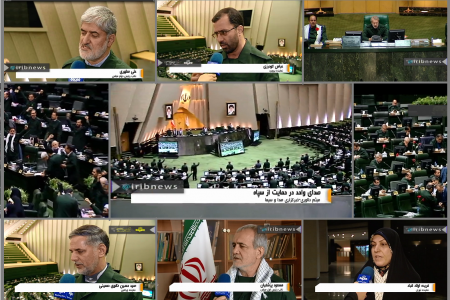 TEHRAN, Aug. 22 (MNA) – Commander of IRGC’s Quds base has announced they have destroyed four anti-Iran groups of terrorists outside Iran. Gen. Marani described missions in current year as successful and dubbed the fight against anti-Revolution groups trying to infiltrate through eastern borders among most important efforts. Quds base commander in southeast Iran emphasized that borders of the Islamic Republic of Iran are under vigilant protection of security forces and that Arab intelligence services, especially from Saudi Arabia, are trying to insecure eastern borders. When is a terrorist, who is not a terrorist, still a terrorist? The answer to this complicated riddle can be surprisingly simple: When they are forced to remain in a terrorist group because there is no safe way for them to escape. There is an ongoing debate in Europe and North America about how defectors from terrorismshould be treated as they try to return to their homes in the West. Some say that on security grounds they should be either banned from re-entry or prosecuted and where possible imprisoned as an example to others. Others, usually practitioners who understand that deceptive recruitment is a huge factor in people’s involvement in terrorism, advocate for a more humanitarian and redemptive approach: allow these people home, albeit with severe restrictions imposed on their lives and activities, and get them to undergo re-programming. What this debate does not address, however, is just how possible it is to actually escape a terrorist group in the first place. If you are in Raqqa, how do you step outside the group and remain safe? In this context the fate of a handful of Iranians, stranded in Albania without any financial support or accommodation and unable to access refugee services, shines a spotlight on this aspect of the West’s approach to terrorism. It would be easy to dismiss former MEK members Ehsan Bidi and Siavosh Rastar’s case as a local, individual problem. But when we look in more detail, it has everything to do with whether America and the West are complicit in forcing people to remain in terrorist groups because we do not see the need to help them leave at all. Certainly this is not a solution to terrorism – Plan B: get them all to leave – but a more facilitating approach toward genuine defectors could be a major factor in undermining the hold such groups have on their members. 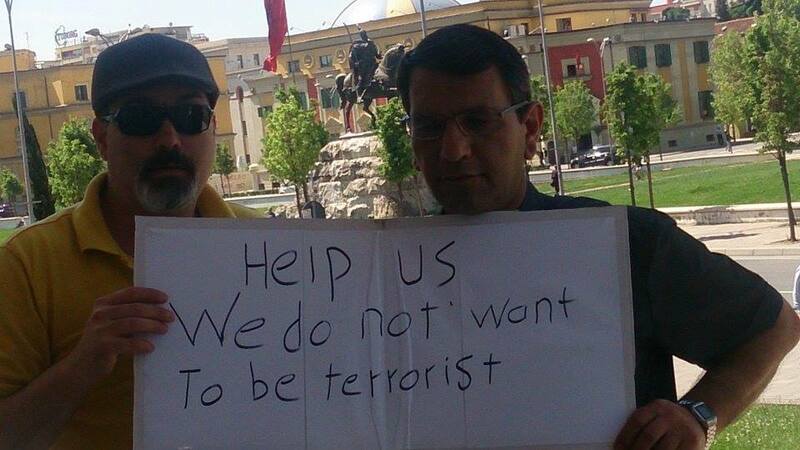 Three years ago, Ehsan Bidi was brought to Albania along with other members of the Mojahedin Khalq (MEK). But Bidi was already a separated member when he arrived; it had just not been possible for him to escape them while in Iraq. As soon as he arrived he left them. Since then, he had been living on a small financial contribution from the UNHCR along with basic accommodation which they had provided. Suddenly at the end of March this year all this support ended. He and others like him were left destitute. 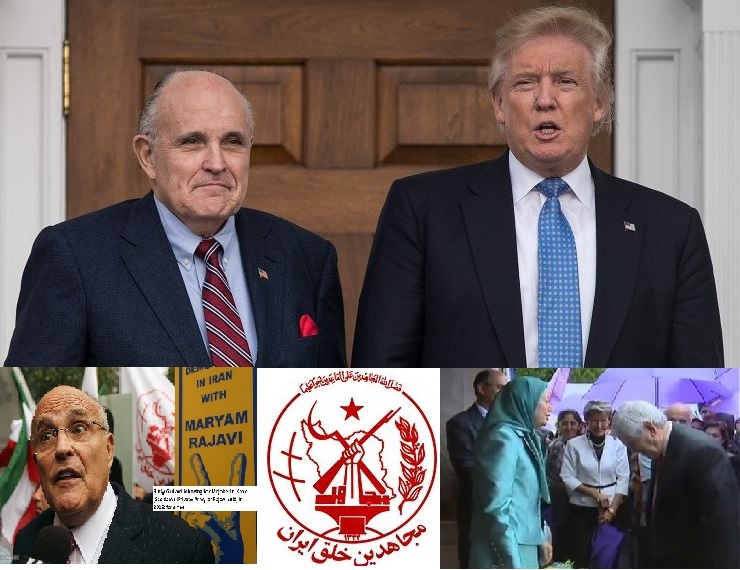 What Bidi and another handful of defectors didn’t know was that under the 2013 deal struck between former Secretary of State Hillary Clinton and the then Albanian Prime Minister Sali Berisha, the MEK members transferred to Tirana from Camp Liberty in Iraq would not be given official UN refugee status and would be dependent on Maryam Rajavi’s MEK for all their accommodation and costs while in Albania. Amazingly, neither the government of Albania nor the UNHCR has any obligation to treat them as refugees. All of these people are being transferred not as refugees but as the active members of a terrorist entity. 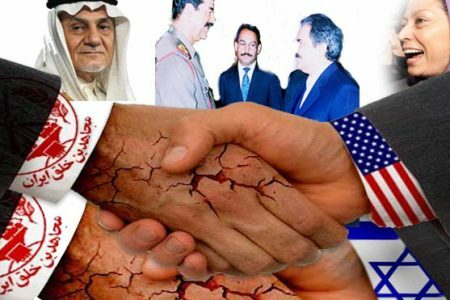 In fact, part of the deal struck by Clinton was that the MEK would be removed from the US terrorism list specifically to allow this deal even though every active member remains radicalised to the core and capable of committing acts of terrorism. 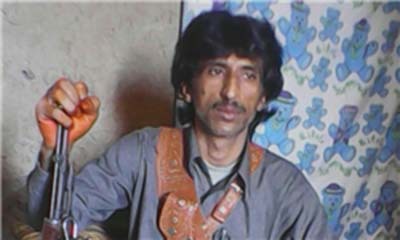 This means that when people like Bidi and Rastar choose to reject membership of this terrorist group, they not only face the wrath of the MEK – which has promised to kill Bidi in particular because he is so vocal about this predicament – but they are also left destitute because the state doesn’t recognise them except as members of that terrorist group. After the UNHCR pulled the plug on its support, Bidi and the others were told ‘you must ask Rajavi to allow you back in the MEK or ask the Iranian embassy to send you back to Iran’. Clearly an impossible choice. It is a conundrum which was created by America and must be resolved by America. 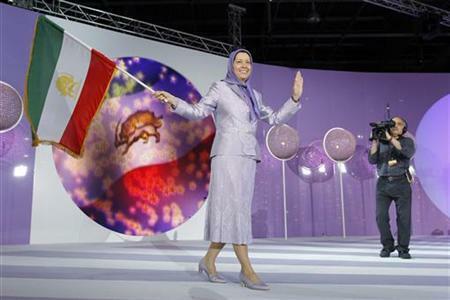 A similar situation arose in Iraq after 2003 when the MEK were captured, disarmed and kept in Camp Ashraf. Within weeks the American army was being approached by defectors begging them for help to escape the clutches of the cult. After trying to send them back or ignore them, the army was eventually obliged, under the Fourth Geneva Convention, to establish a separate Temporary Internment and Protection Facility (TIPF) within their own compound to house the defectors. This allowed many others to escape and return to their families and to civilian life. It is necessary now for the American administration to acknowledge that it has the same obligation toward the people it transferred to Albania under Clinton’s 2013 deal. 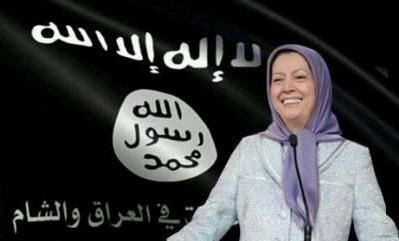 It must give them the same opportunity to leave the MEK as was granted to people while in Iraq. Safe, alternative accommodation and social support must be given to those who, on principle, reject membership of a terrorist group. It’s almost unthinkable that this isn’t happening already.But while nobody imagines that in among the chaos of war in the Middle East and the massive refugee crisis that has engulfed Western countries, there can be a TIPF or something similar for ex-terrorists, we also know that Daesh kills defectors. They do this under the principle of ownership – we own our fighters and can dispose of them as we see fit. 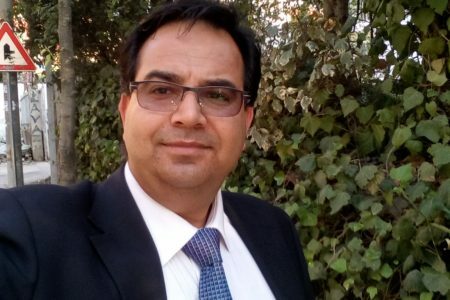 In this case, if we stand by and allow Daesh, like the MEK, to dictate the conditions of how a defector is treated without making any effort to facilitate their safe exit, if we cannot offer a helping hand to those who wish to redeem themselves, then we are no better than the terrorists ourselves. Anne Khodabandeh (Singleton) British journalist, Director of Open Minds cultandterror.com former Mojahedin Khalq activist, says their transfer poses potential risks not only for Albania. Deutsche Welle: Ms. Khodabandeh you are of the opinion that Albania’s agreement to take a further number of Mojahedin is associated with some risk. 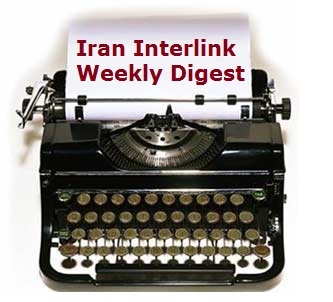 The international media talks about another 2,000 more Mojahedin going to Albania. What risk do they pose? Anne Khodabandeh: There are many other NATO countries where the MEK could have gone, but only Albania agreed to accept the refugees. It would have been much better to have distributed the refugees among several countries instead of leaving Albania to take the whole burden. However, the move is very welcome since these people have to be moved somewhere for their own safety. Now they have a better chance of escaping their past and starting new lives as ordinary civilians. The actual risk to Albania will be if the MEK is not disbanded as a group. Disbanding means that each refugee should be treated as an individual. They must be de-radicalised and then integrated back into normal society as ordinary citizens with homes and jobs and families. The MEK must not be allowed to re-organise as a quasi-military group. Clearly, Albania is not as strong as western European countries in this respect and so the process will be more difficult. But if it is done, then the country can take full credit for doing something not even the USA or the European Union could achieve. DW: In one of your articles, you write that this is the relocation of terrorist group into Europe. Do you really think that a terrorist risk to Europe could come from Albania? AK: It is important to remember that every member of the MEK who is relocated into Albania has been radicalised to the core. They have been undergoing terrorist training for up to thirty years in Iraq. 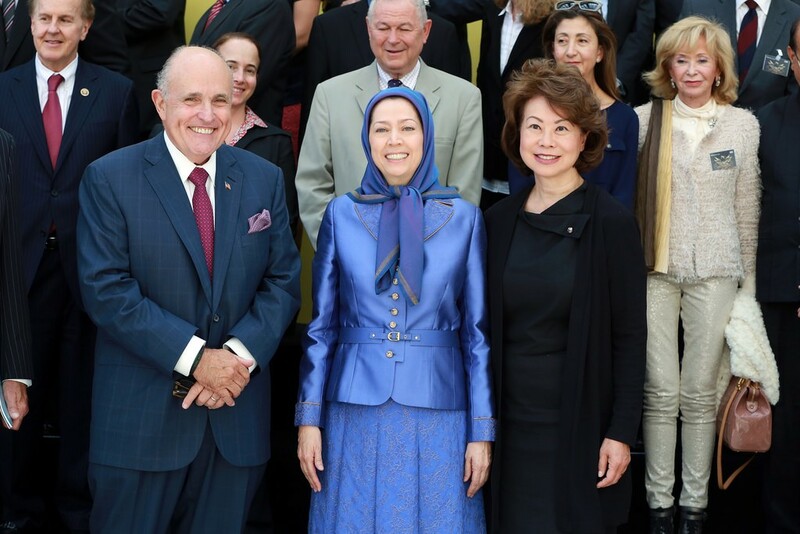 They will not suddenly change just because the MEK name is removed from a list of terrorist groups or if they physically move to another country. They are still terrorists. Many have been highly trained by Saddam Hussein’s former Republican Guards Corps in specialist activities – from bomb making and terrorist strategies, to intelligence gathering and torture. 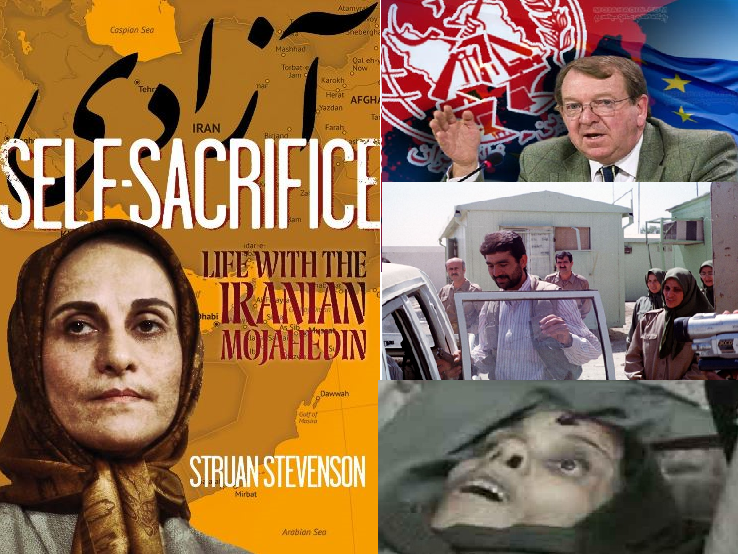 The MEK is credited with inventing the suicide mission back in the 1970s. DW: What do you think Albania should do? AK: It would be a mistake for the Albanian authorities to dismiss the MEK as a defunct force simply because many of its members are old or ailing. They may not be a fighting force but they certainly have transferable skills and experience in terrorist training and logistics. These could be very useful to other terrorist organisations. 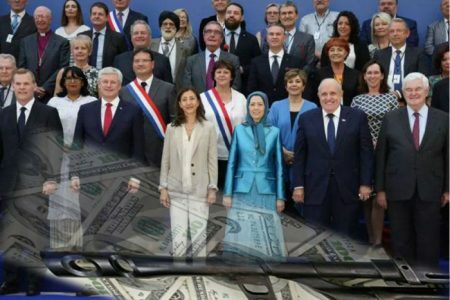 The MEK has people who are experts in money laundry, people trafficking, fraud and corruption. The location of Albania in the far south east of Europe makes it attractive as a gateway country into Europe. 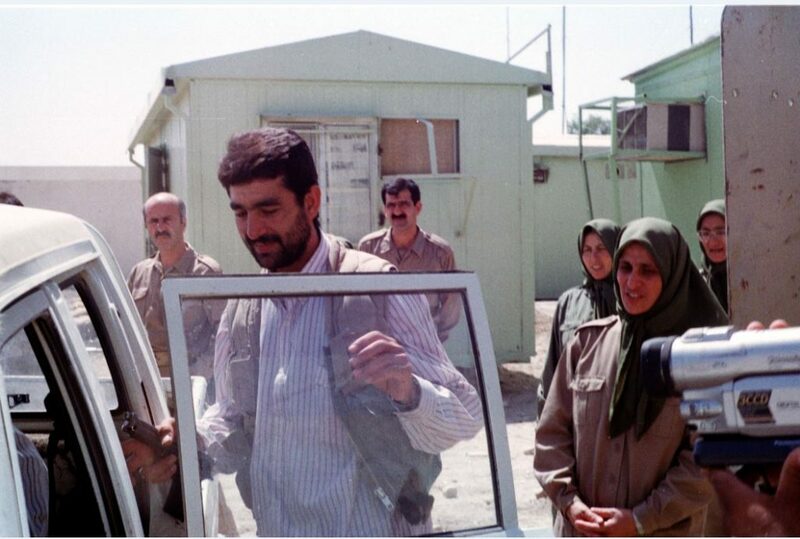 Without scrupulous vigilance the MEK camp could become a staging post for other terrorist leaders and commanders as well as acting as a terrorist training base. DW: After the Mojahedin was removed from the list of terrorist organisations they could be said to be seen as allies of the Americans as they fought against Saddam Hussein. Is this fact not sufficient to exclude the possibility that they may pose a risk? AK: The MEK have never been considered as actual allies by any western government. 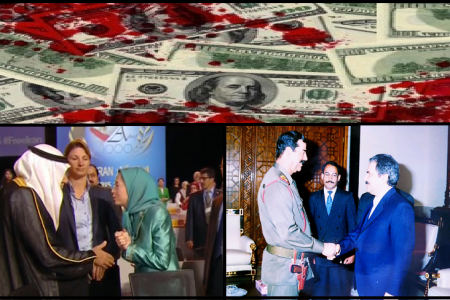 These governments may have benefitted from the MEK’s violent anti-Iran activities and have turned a blind eye to the support given to the group by various interest groups, but the MEK has never had governmental support except from Saddam Hussein. 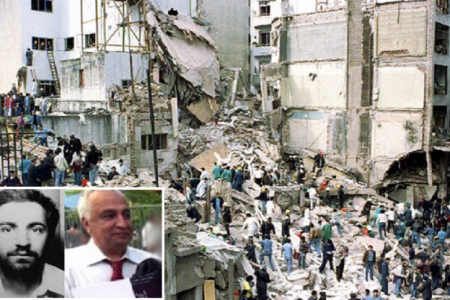 He paid and trained the MEK in terrorism for regime change in Iran. 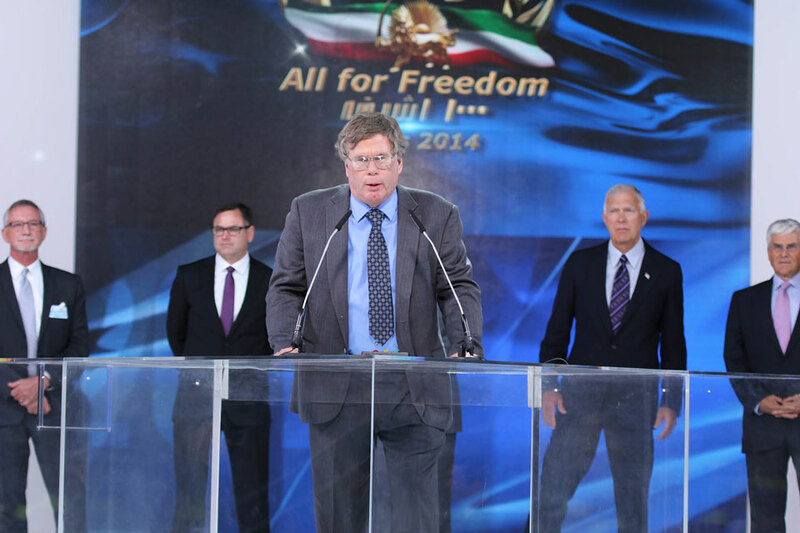 Expert US and EU assessment still regards the MEK as a ‘potential’ threat to Western interests. DW: It is said that the Mojahedin Khalq helped in the fight against terrorism, why doesn’t the government in Iraq want them in their country? 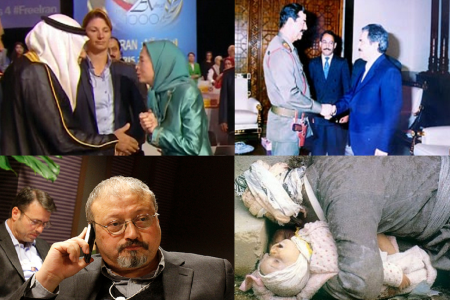 AK: The MEK, referred to as Saddam’s Private Army, was responsible for the deaths of 25,000 Iraqi citizens, particularly among Kurds in the north and Shia populations in the south. For this reason, the group has many enemies in the country and their safety cannot be guaranteed. 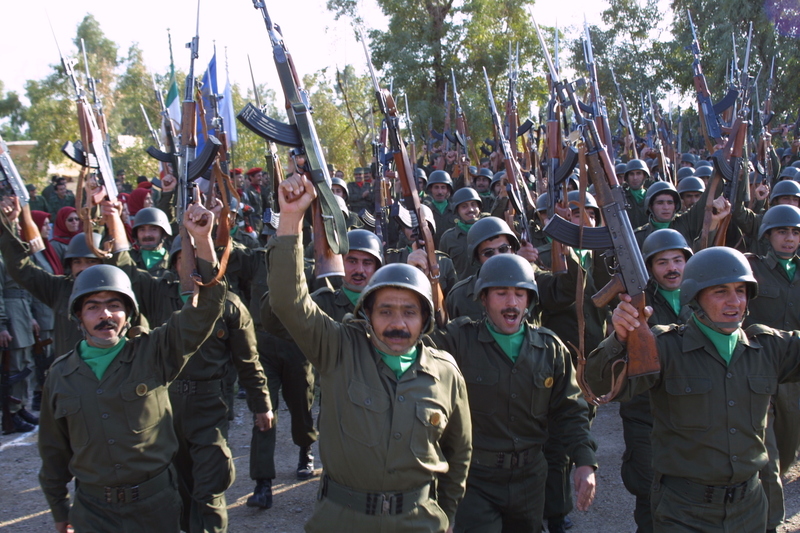 After Saddam’s ouster, the MEK declared itself a friend to the US army and was disarmed. 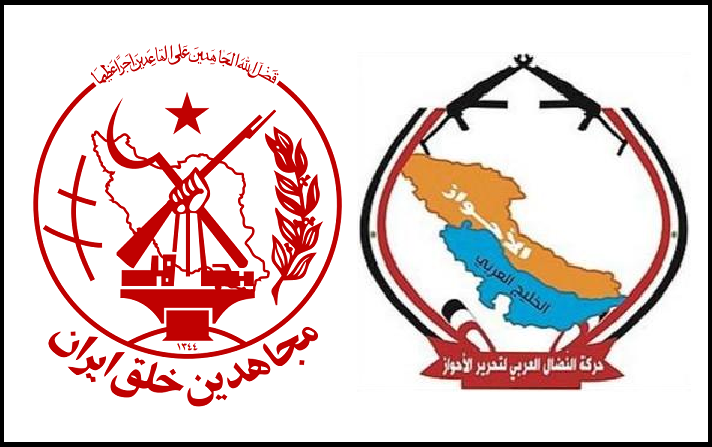 Over several years, Iraq’s security forces have gathered information which shows that the MEK still poses a threat to peace and stability in the country through its active support and help for insurrection forces linked to both Al Qaida and more recently Daesh. DW: In Albania until now, they have live peacefully. Why could they be a threat to Albania right now? AK: It is known that the MEK leaders Massoud and Maryam Rajavi are planning to establish a safe haven for themselves in Albania along with the majority of the members. 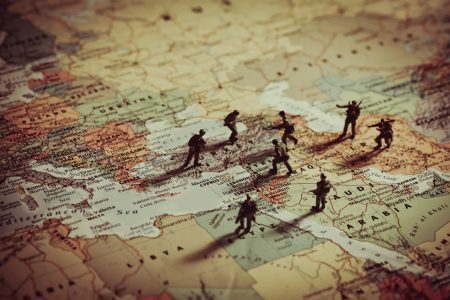 They want to recreate the closed society which they have used elsewhere – in Iraq, North America and Europe – that allows them to operate outside normal legal constraints. 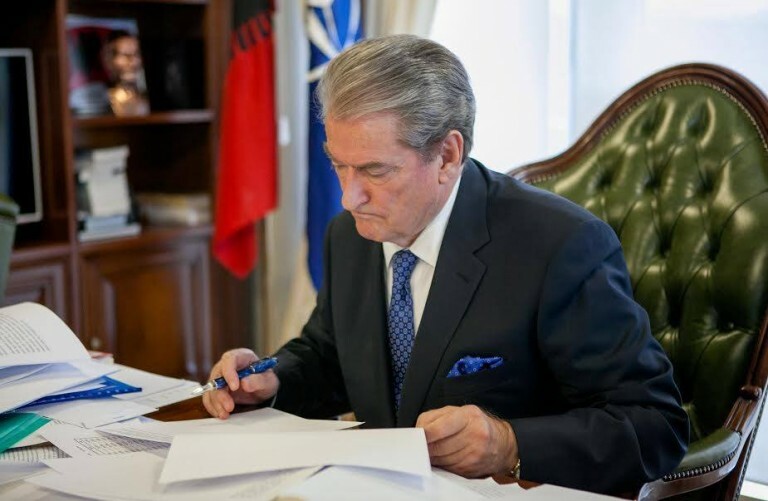 In Albania they seek to exploit the relatively weak state of the country’s governmental, security and social institutions in order to establish an extra-judicial enclave of their own. DW: In Albania the Mojahedin Khalq live as political refugees. As such they are included in the legal framework of the country. AK: It is not possible to be both a political refugee and a member of a terrorist organisation. 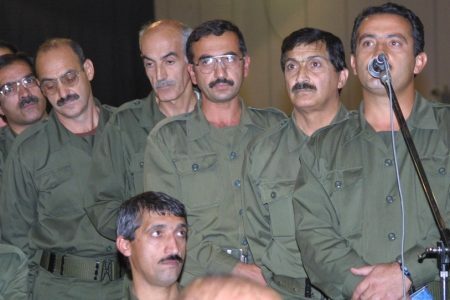 At present, because the MEK has not been disbanded, each person who arrives in Albania is still a de facto member of the MEK terrorist group, regardless of the status under which they were transferred. 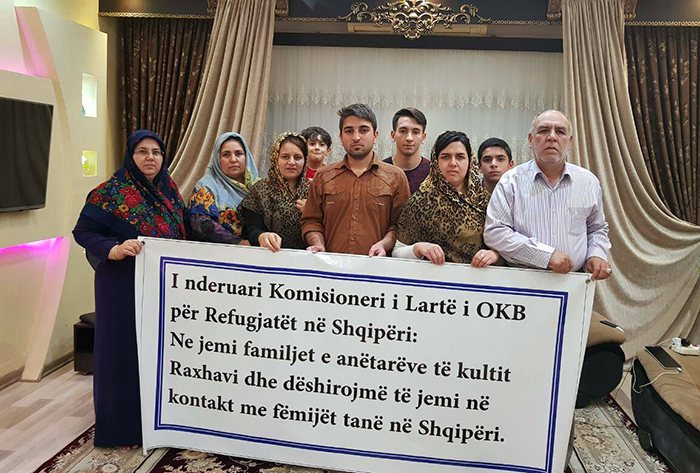 Their refugee status is nullified as long as they are living in MEK accommodation and obeying MEK rules. 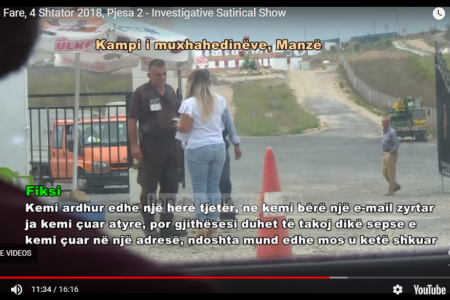 The Albanian authorities must not ignore the fact that these people are victims of cultic abuse and are living in conditions of modern slavery. No ordinary member is allowed to make independent contact with the outside world. The MEK leaders claim to represent the views and wishes of the entire membership but when they arrived in Albania about 200 of them left. This is something which humanitarian organisations, both international and local, need to urgently address. The MEK must not be allowed to close the doors against the outside world and must not prevent the people transferred from Iraq from contacting their families and the outside world. DW: You were once a Mojahedin activist. Why did you leave them? AK: Yes, this happened [recruitment and radicalisation] when I was in university after the Iranian Revolution in 1979. I was young and naiive. They said they were fighting for human rights in Iran, but as I got deeper inside the organisation, I saw the atmosphere of fear and secrecy. 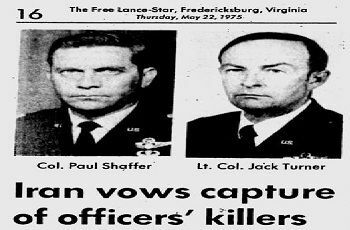 I realized they were not fighting to liberate Iran from tyranny, as they claim, but only working to save the leaders. So, I left. British expert, Anne Khodabendeh, director of the popular online platformcultsandterror.comOpen Minds, herself a former activist of the organization the Mujahedin, launched a campaign in 2001 to help the victims of the cult. In 2011 she published the book ‘The Life of Camp Ashraf’, named after the main Iraqi base of the Mojahedin Khalq. Today she works as part of the Prevent Strategy to prevent radicalization and violent extremism in Britain.